Blogging after a long time. Welcome February and everyone are out with Valentine Day preparation and cooking that special dish for their sweet hearts. Nowadays I hardly get any time to try out new dishes or grab a camera to click the dishes I prepare. This is just because of the little cute new member added to our family, the best ever New Year gift. This month my blog too completes 2 year and I have to admit I was not as regular posting recipes as I was during the first year. Maybe this will continue for few more months. 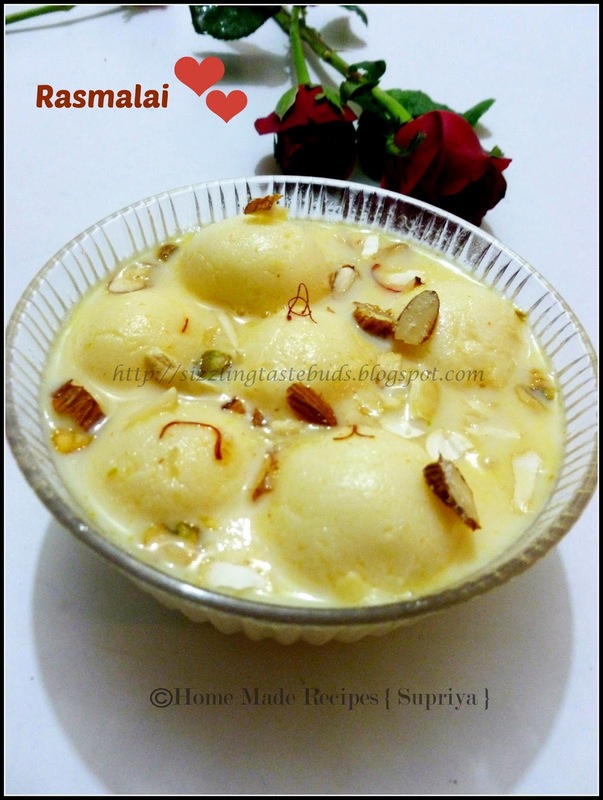 Now coming back to today's recipe - RASMALAI. Rasmalai is a rich, creamy Indian dessert. 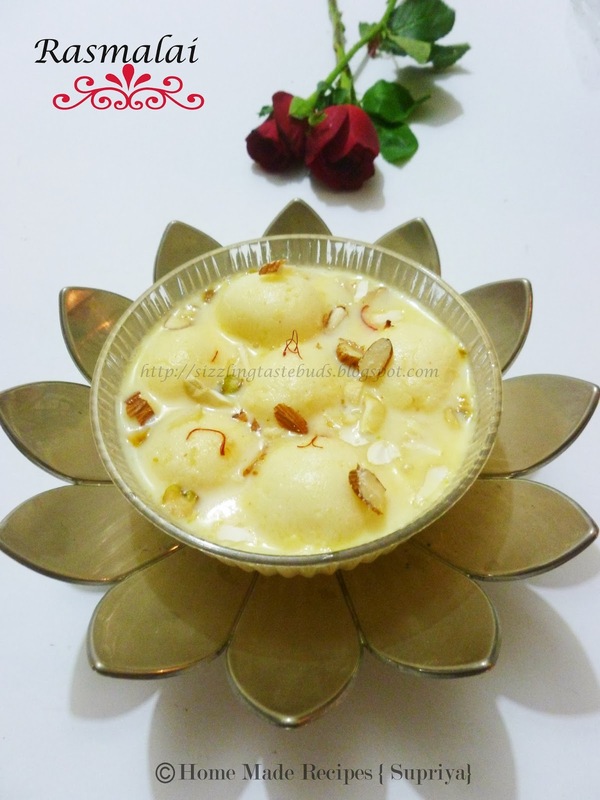 This recipe is an easy version made with Rasgulla. You can prepare the rasgulla's or use the store bought ones. I used the store bought Rasgullas (Haldiram brand) for prepare this. 1. Take a heavy bottomed vessel and boil milk. Add condensed milk and reduce the flame. Keep stirring the milk till it starts thickening and reduced to almost half the quantity. 2. Take a tbsp of warm milk and crush the saffron in it. Keep aside. Add this to the milk mixture and add sugar to adjust to your tastebuds. Always remember, if you are using store bought Rasgulla's, it too contains sugar content even tough you squeeze out the sugar syrup. So add sugar as required. 3. Once the milk is reduced, remove from stove. Allow it to cool for few minutes. Squeeze the Rasgullas to remove sugar syrup and slowly dip them into the milk mixture. Top this with chopped nuts and serve it chilled. 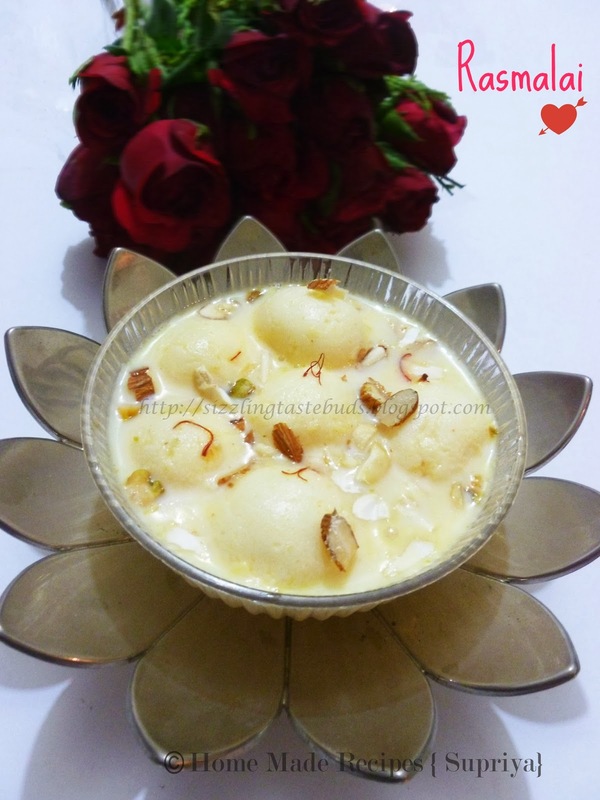 omg such an droolworthy rasmalai :) so very well made dear !! absolutely tempting and delicious ! !